Blackbird is a song that is a good introduction to using the fingers to pluck the strings, and can be played on both classical and folk guitar, either sounds great! It is also tricky because if you look at the score it could look hard enough for you to pack up the guitar and put it away for good. It's not that tricky, there are time signature changes but if you play along to the record you will hear how it goes. Other things that might put you off your guitar for a month are a big stretch with the left hand fingers a couple of times, you can re-organise the stretch chord to have the melody on the high E string. If you struggle with doing this and your not sure of the names of notes on the guitar, maybe you might like my Guitar Lessons? 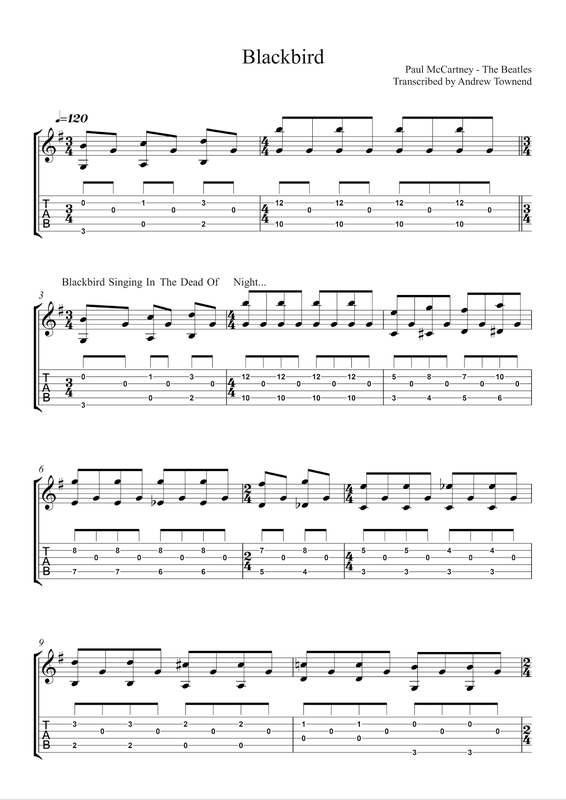 I have included two worksheets, one is the song in both Notation and Tab, the other is a chord box sheet. 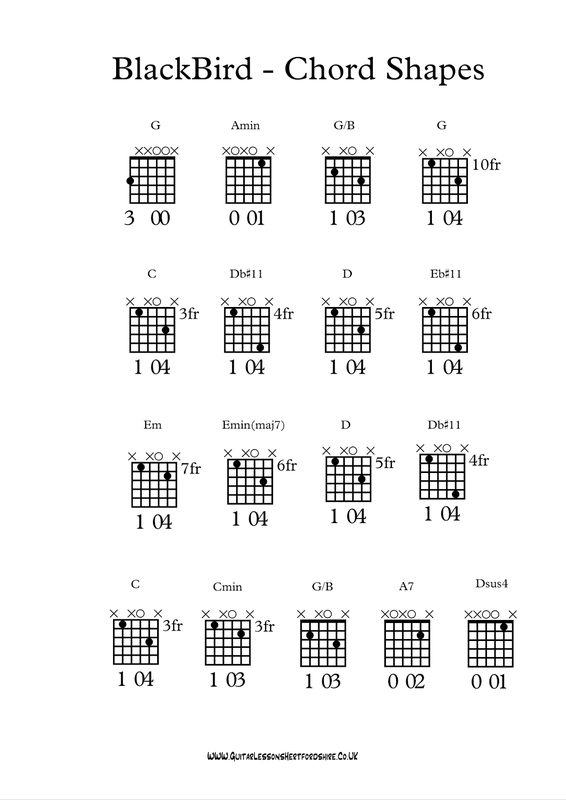 Maybe use the chord box sheet first to become familiar with chords used in the song.